Crystal clear slatwall shelving for paper goods and more! Shelf with angled base to hold merchandises at an upright position. 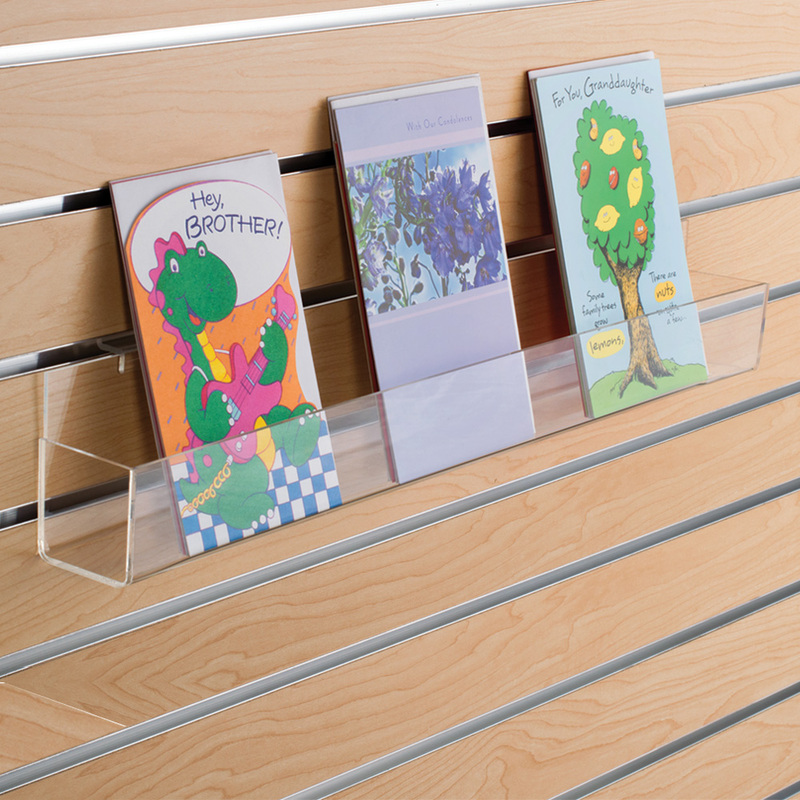 The unique J Rack design is great for a variety of paper goods such as stationery and greeting cards. 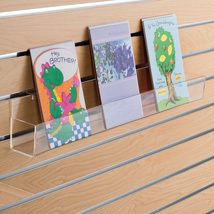 This slatwall shelving features closed ends to keep products in place. Fits onto slatwall panels and all other slatwall displays. Interior holds products up to 2 1/8 in. depth. For more options, we ask you to take the occasion to shop our entire collection of slatwall shelving at Specialty Store Services today.